There is a man dying on the landing of a building that is shared by several different families, who mostly don’t get along. The man who’s dying is Vishnu (it’s not a spoiler, that happens in the beginning), who would usually help the families with small things like doing the dishes and in exchange he gets tea in the morning and old parathas and lives on the first landing of a house full of many colorful characters. It was a good read, although I did get quite exasperated in places as some characters seem to exist in the story just for the sake of causing more trouble and pain for others. 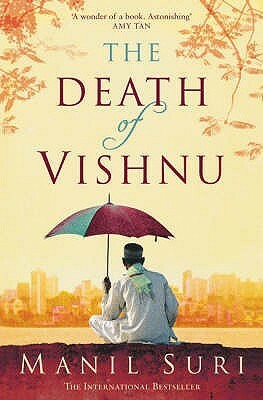 This entry was posted in Fiction and tagged book review, books, Manil Suri, The Death of Vishnu. Bookmark the permalink. Sounds interesting, and reminded me a little of Aravind Adiga’s Last Man in Tower – one of the best books I’ve read in the last few years.